TURBOCHARGE Your eBay Christmas SALES! Christmas – whether you love it or hate it, there’s no denying one thing – there is huge potential in the holiday season for all business owners (no matter what niche you’re in) IF you know how to make the most out of it. And that’s exactly what today’s article is all about – I’m going to share with you all the little tips and tricks that I’ve learnt and developed over the years, things that will ensure you take full advantage from Christmas this year. Clearly listed last delivery dates! As simple as it sounds, having a clear latest recommended order date for Christmas delivery will make a huge difference to your customers and will save you countless queries and messages about this very thing. So you simply need to display this information clearly, either within your eBay listing or somewhere on your eCommerce store. And of course the same applies if you’re using a courier – they’ll have the last shipping dates for Christmas delivery shown so find out when it is and pass that information onto your customers. Please don’t ignore this point and assume your customers can find this out for themselves as they shouldn’t have to, and by presenting it for them to see quickly and easily; you’ll get more orders and, most importantly, cut down on post-Christmas complaints about late deliveries. Again, this is something that seems so simple yet countless online sellers don’t offer any additional postage options for Christmas. I’m not saying you have to post everything via next day delivery and destroy your margins but you need to at least offer courier/special delivery to your customers. This will give you a big advantage over your competition when it comes to those last minute orders. With the amount of competition online and the increasingly high level of service being offered, 1 day dispatch really is a must nowadays, and this is even more so in the run up to Christmas where really you should aim to dispatch all orders the same day. Even if this means you have to re-work your fulfilment system slightly, then do so, as it’s one thing for an order to be late because of Royal Mail or something else out of your control and another thing for it to be late because you only posted it 3 days after the order was received. Customer service is key! And this is so important to remember as you will be getting a lot of orders from new customers and if you deliver great service, then you can turn them into repeat customers all year-round. Yep, I know some of you may not like to hear it (especially after eBay’s attempt to get all top-rated sellers to match Amazon’s holiday return policy) but there’s a reason these huge companies are pushing extended returns so much – it’s important to customers! In fact, according to eBay themselves – “most buyers we surveyed feel a longer returns policy is a necessity when considering holiday purchases”. If you don’t offer some form of extended returns, you’re losing customers. It’s as simple as that. I’m not saying you have to match Amazon’s policy of free returns until the end of January for all orders placed in November or December but you do at least need to improve on the 14-day minimum. Something along the lines of extended returns until 15th January for all orders made in December should work well. For your own ecommerce store, make sure you advertise this (as it’s a big selling point) somewhere that all visitors will see it, and if you’re selling on eBay you can alter your returns policy for specific listings to reflect the Christmas extension. Adding in a free gift with orders is something I have mentioned before on this blog, and if you aren’t already implementing this – now is the perfect time to start. Once again, this doesn’t have to be something expensive that completely destroys your margins, and there are countless low cost or even free items that you can offer as a free gift. This is a terrific way to increase conversions (free sells!) or even increase order values, if you offer something for all orders above a certain amount. To read more about the power of free gifts and to get some ideas for what you can include, take a read over my original post about this here: The Power of Free Gifts on eBay. Again, incredibly simple but still extremely effective – offer gift wrapping! Depending on the items you sell and the difficulty in wrapping them, you can either charge for this service or better yet – offer it for free. If you do decide to charge, make it something reasonable as putting £10 for gift wrapping will have the opposite effect and will only serve to annoy your customers. As well as offering an extra service that most of your competitors won’t be, gift wrapping also emphasises the whole holiday spirit and will most likely result in higher order amounts as well. So don’t waste this huge potential – really push the gift wrapping element and add some images to your listing/site to show how nice the wrapped version looks. For pretty much any boxed item, gift wrapping won’t take you more than a few minutes, so it can actually be a great little extra earner that boosts your margins as well as working perfectly by pushing the Christmas mentality into your customers’ minds. Continuing on from the last point about emphasising Christmas to your buyers, this is something that I tested in my own businesses years ago and have used every year since after seeing some fantastic results. Adding winter/Christmas related themes to your listing/store design is a terrific way to get people in the buying mood and also helps you to stand out from your competition (most of who will be sticking with their same old, tired design). If you’re able to, you can even add themed graphics to your listings or store header yourself but if not you can simply hire someone to do this for you. It won’t cost a lot and also, bear in mind that you only need to pay for this once and then you’ll have the source files that you can reuse for years to come. As I often stress, don’t view this as a cost, but rather as an investment that will pay itself back many times over with increased conversions and higher average order values. With the amount of items people have to buy this time of the year (presents for family, friends, co-workers etc.) cross-selling related items or bundling together multiple items is an amazing way to increase your average order value and thereby make more money from each customer. Again, take a hint from Amazon and their “people who bought this item also bought…” and suggest related items. Although this still works amazingly on eBay, it is even more effective on your own eCommerce store (where there are less things to distract your customers) so make sure you implement this. Remember, if a customer has just decided to buy, say, £50 worth of stuff, it’s then much easier to push them to spend another £10 or £20 now than it is to get them to make a new order of that same amount later on. So, take advantage of this fact and cross-sell related items and create multiple item gift bundles. 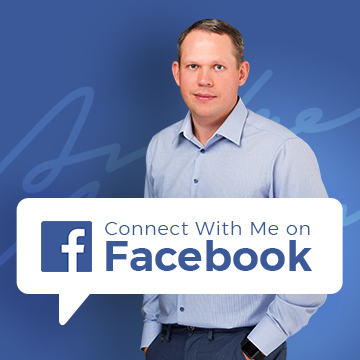 I have talked about list building a lot on this blog and for a good reason – it is the best way to quickly and easily make more money from your existing business and customers. If you’ve followed my advice and started building your list over the last few months, then now is a great time to see all that hard work pay off! Sending a Christmas Newsletter to your list is a terrific way to drive extra sales. As mentioned above, people have to buy a lot of stuff and often they just run out of ideas… and that’s where you come in. A simple newsletter/email to your list talking about the “Top 5 Gift Ideas” for this year is a hugely profitable way to highlight specific items that you’re selling. And it doesn’t matter if you don’t have your own eCommerce store (though of course that is preferable when you’re the one bringing in the traffic) as you can still use this technique for your eBay store/listings. Not only is this a great way to advertise specific products, it can also provide great value to your customers. “10 Classic Games That Will Make The Perfect Gift This Christmas” – you get the idea. This can be tailored to any niche so please don’t make excuses and say this doesn’t really apply to me. If you followed my advice and took action towards building your own list, you’re now about to reap the rewards! Gift cards – simply put; if you’re not offering gift cards or gift certificates, then you’re leaving easy money on the table. Gift cards are an easy and safe option for those people that just can’t find the right gift and from your point of view – you’re getting money for nothing (for now at least). Plus gift certificates can just be emailed so there is no worry about shipping times! For the most effective campaign, combine gift certificates with the email option above and send your list an email on the 23rd/24th December promoting your gift certificates, with “immediate delivery via email”. 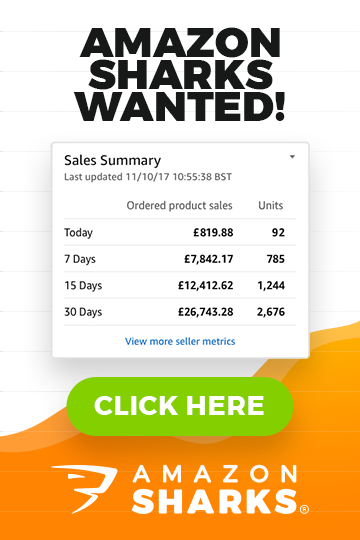 This tactic is super effective and you’d be surprised at just how many last minute orders you can get this way – a great way to get that final sales boost when your competitors and done and dusted for the year! Pretty much every year there is a craze for at least a few items around Christmas… something that’s hard to come by or something that just becomes insanely popular and sells for multiple times its normal price. And even if these items aren’t in the niche you normally work in, that doesn’t mean that you have to miss out. Not at all! There is absolutely nothing wrong with sourcing and selling some of those hot items for Christmas alone. Well that’s a good question (as the last thing you want is to be left with unsold stock after Christmas) but luckily enough; the answer is that it’s incredibly easy to find this out. For one, just do a simple search and you’ll see countless articles from all the major newspapers/sites listing the “Must-Have Toys / Gifts this Year”. Then of course we have our old favourite Terapeak and its hot sellers which you can use to see what’s currently selling on eBay. For Amazon, it couldn’t be easier. Simply head to Amazon’s Best Sellers list for all the info you need! There you can see best sellers, hot new releases, movers and shakers, most wished for and most gifted. It goes without saying that this is a hugely valuable resource, so take advantage of it! And I think that pretty much covers everything! There are countless tips and tricks here that I’ve compiled from my many years of experience. These have all been tested by me and they work! So don’t delay, take action today to implement as many of these as possible (there’s no reason why you can’t use ALL of them) and make this the best month ever for your business. As always, if you have any questions or comments about anything I’ve talked about, then just post below in the comments section and I’ll answer you personally. Thanks for the wonderful post. This is really useful as always.